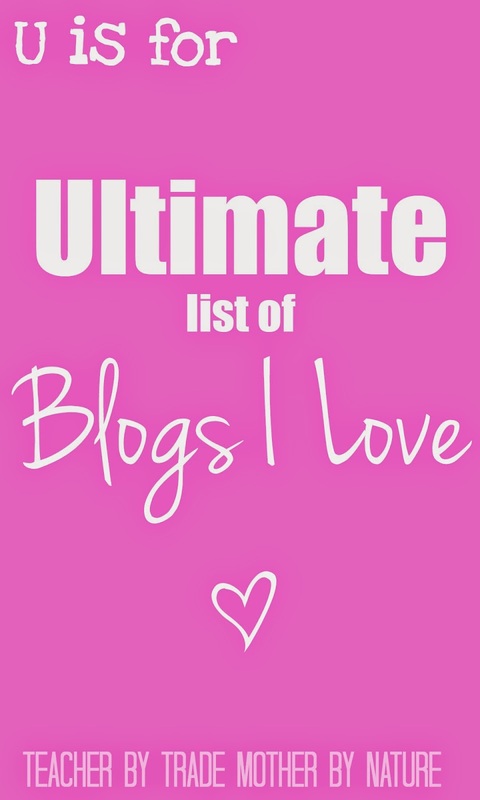 Today I am sharing an 'Ultimate List of Blogs I Love', 50+ in fact, because I love Sharing the Blog Love! Grab a cuppa and check out these amazing blogs - created by the most inspiring & wonderful women I have 'met'. I also recently shared 10 Women Bloggers I Admire. Do you recognise some of these bloggers? I would love to follow some more blogs that have a similar niche to mine. Leave your blog link in the comments and I will be sure to check it out. Share the BLOG Love today! Thanks Jess - and you're welcome! No, thank you Leanne for having such an amazing blog - with lots of inspiring ideas! A great list to visit when A to Z is over! Thank you for sharing! This was great for finding some other linkups! Thanks Trena :) Enjoy these amazing blogs. Thanks for the mention and also thanks for showing me some new to me blogs too!!! Right back at ya Lisa! Sharing the blog love makes me happy, especially when I am following so many fabulous blogs. Thank you so much Charlene for including me on your list! Made my day, seriously! You're welcome Karin. You have a great blog! So many great posts to read! Wow! What a list. I don't know if mine would fit with the ones on there. I recognize a few. But you are welcome to check it out. heavenissmilingabove.blogspot.com. Stopping by from Blog Fair Link Up. Great list you've got here - some I follow and some that are new to me. Love that you've highlighted the NZ ones. Chuffed that you've included me!! <3 Thanks for sharing with the BlogFairLinkParty too! You're welcome Karen!! Love your little space in the blog-osphere. Thank you for letting me be a part of your BlogFair :) I want to add more NZ bloggers to my list, so if you have any favourites,that I might have missed - please let me know ! Thank you! I hope you find some new blogs to love :) Heading over to check out your blog now! Thanks for stopping by. I'm sure you will Amy! They are all fabulous! A couple of my favourites on here too! Thanks for stopping by Stacey! I am going to add your blog to my list :) Also following you on Social Media from my personal account. So stoked that I made it on to your Ultimate List. And honoured too! We share some favourites but I can see lots of new reading in my future! There's no such thing as having too many blogs to read... is there?! Thanks Sammie! Your blog is fantastic! Enjoy! Hope you find some new faves. Thanks Jenni! I have added you to the list! I have been following you on social media for a while! My apologies for not adding you to the list earlier! I probably would do that exact same thing! I am glad I completed the challenge, however, now I am catching up on other things I brushed to the side! eek. All the best for finishing the challenge! YOU CAN DO IT! Thank you Sonia! It wouldn't be an ULTIMATE LIST if you weren't on it Sonia! You're an inspiration! Oh wow! Small 'online' world alright Jo! :) You are welcome! Love your ROYAL post! Thank you so much for including me!! It's a great list, I'm definitely in amazing company!